From the moment I saw these cookies on the Internet, I was dying to make them. What a brilliant idea! 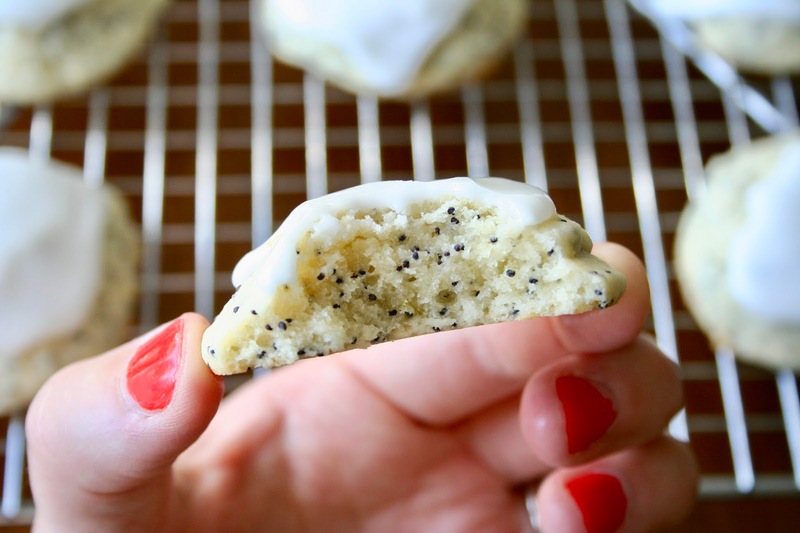 Now who doesn't love lemon poppy seed muffins? No one. ;) And who wouldn't want that flavor combo in cookie form?? These cookies are so soft and fluffy and have the perfect lemon flavor. The glaze on top really adds to it, too. If you want a perfect summery cookie to please a crowd, this is the cookie. They're definitely one of my new favorites! 1. Preheat the oven to 350 degrees F. Line two baking sheets with parchment paper or a silicone baking mat. Set aside. 2. Combine flour, baking powder and salt in a small bowl. Whisk and set aside. 3. In a small bowl, add granulated sugar and lemon zest. Rub the sugar and lemon zest together with your fingers, until fragrant. 4. Using an electric mixer, beat butter and sugar mixture together until light and fluffy. Beat in eggs, lemon juice and vanilla extract. Mix until smooth. 5. Slowly mix in dry ingredients on low speed or by hand until just combined. Stir in the poppy seeds. Drop dough by using a cookie scoop onto prepared baking sheets, spacing 2 inches apart. 6. Bake for 12-14 minutes or until cookies are just set and slightly golden brown. Cool cookies on baking sheet for 2 minutes and transfer to cooking racks. Cool completely. 7. 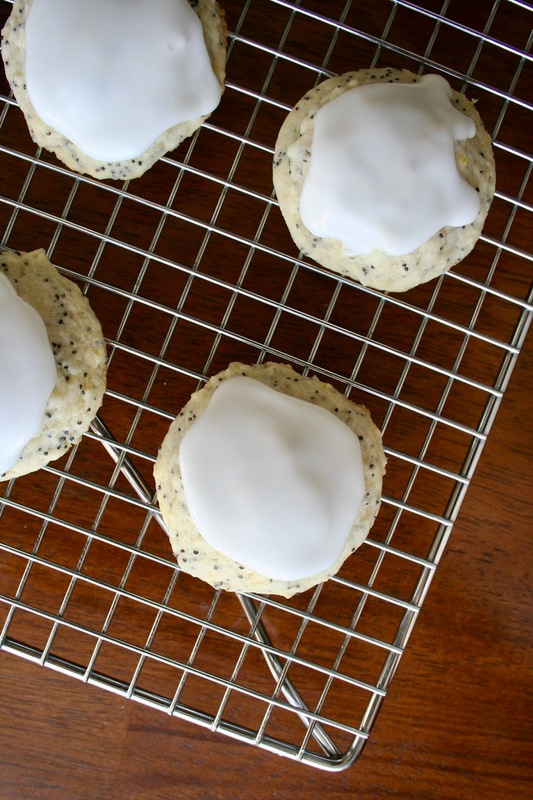 While cookies are cooling, make the lemon glaze. In a medium bowl, whisk together powdered sugar and lemon juice. 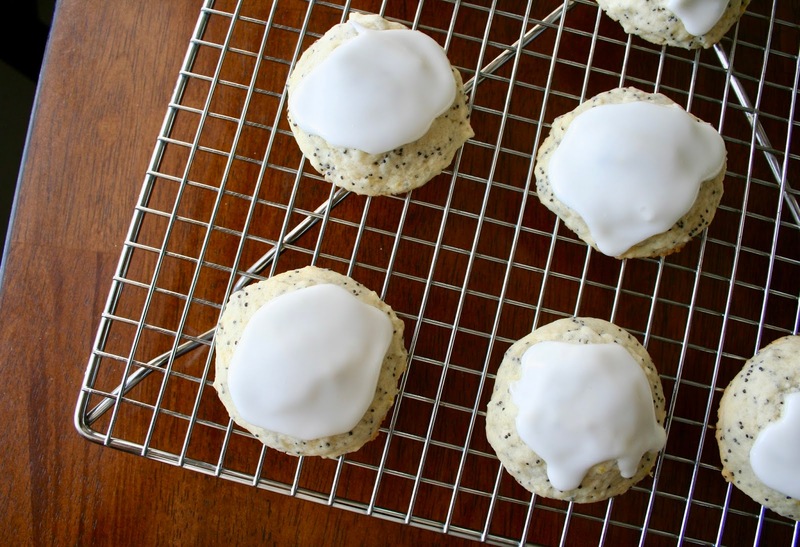 Dip each cookie top into the lemon glaze or drop a small spoonful of glaze on top. Let cookies sit until glaze has set.